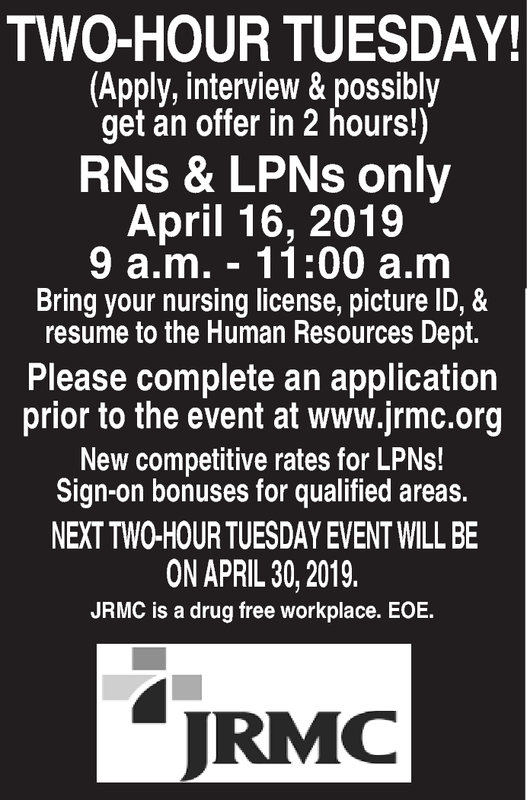 Bring your nursing license, picture ID, & resume to the Human Resources Dept. New competitive rates for LPNs! Sign-on bonuses for qualified areas. Next Two-Hour Tuesday Event Will Be On April 30, 2019. JRMC is a drug free workplace. EOE.